It’s nearly Easter and its time to have a read through the latest articles that have been on the agenda this week. As a registered member on the Analytics Academy, we find these courses are guaranteed to improve your knowledge in Analytics; and gain you a recognised qualification. This new course helps you to avoid using data, when making business decisions. And they aim to give you tips and tricks on what to do when you have no measurement plan; with the new ‘mystical tools’ like crystal ball, divining rods and coin flipping. Universal Analytics is out of beta. 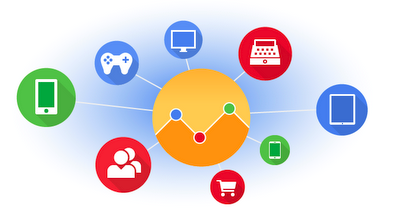 Universal Analytics is the re-imagining of Google Analytics for today’s multi-screen, multi-devices world. With Universal Analytics out of beta and into primetime; this enables everyone to use it with the same robust set of features you’re used to with Classic Analytics. All features, reports and tools from classic Analytics are now available in the product, including Remarketing and Audience Reporting. A new and exciting tool from Adwords has been announced recently called Bid Simulator. With this tool you can estimate how bid changes would impact your clicks, impressions or costs. There are also options to create shopping campaigns from scratch, and to create multiple ad groups for advanced retailers. This is a great tool to use, and to take advantage of the new and upcoming features. As experienced marketers may know, Facebook ad ecosystem is constantly changing and evolving. The VP of Marketing Kevin Bobowski has recently stated in an interview with Inside Facebook; that organic reach on the social networking site is diminishing. It has also been said that the social ad landscape of Facebook has changed drastically.